If you live in an area that has no impact from hurricanes, tornadoes, or earthquakes, you may not be too concerned about disaster preparedness. However, there is one disaster that every home is susceptible to… house fires can happen anywhere at any time. Families need to prepare for what they will do if a fire breaks out. The National Fire Protection Association (NFPA) says you may have as little as two minutes to evacuate! As a family, go to each room in your home and locate two ways to escape in the event of a fire. If you have a two-story home, consider buying escape ladders and storing them under the bed. Only use the ladders in an actual emergency, not for drills. Discuss with your family a safe place to meet outside that is a reasonable distance from the exterior of your home. A friendly neighbor’s home, a swing set or a favorite tree are all good options. Communicate with your family that this will be your meeting location after evacuating your home. 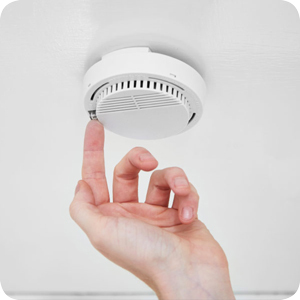 Make sure all smoke and carbon monoxide detectors in your home are in working condition. It is also best to keep fire extinguishers handy on all levels of your home. Conduct fire drills every six months to practice quickly evacuating your home and meeting in the safe location. If you have children, consider setting off the smoke detectors when conducting the drills, so they are familiar with the noise. If children haven’t heard the smoke detector alarm before, they may hide instead of escaping during an actual emergency. Many community fire stations offer open houses. Take advantage, especially if you have small children. 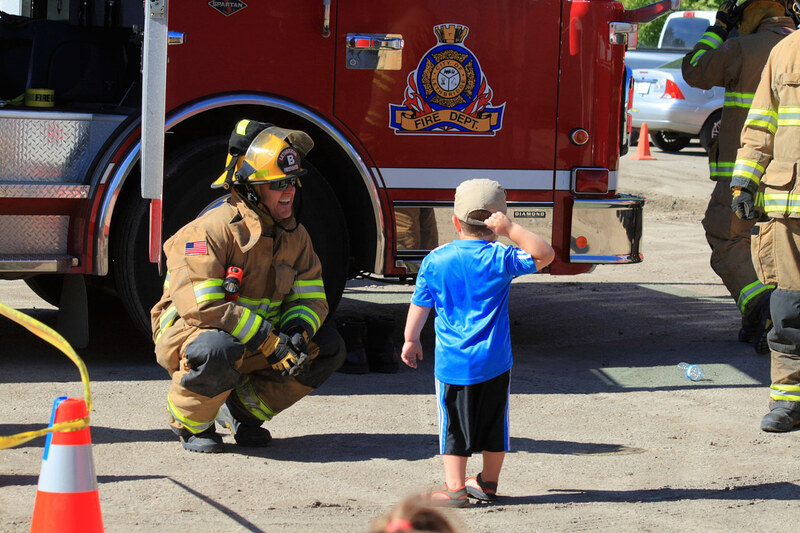 At the open house, a firefighter will put on his gear and show your child how a firefighter suits up. He/She will explain to not be afraid and hide from a firefighter. The gear is intimidating, so it is good for your child to be familiar with a fully dressed firefighter. In addition, children are often able to climb in and out of fire trucks during the open house making it a more fun and less daunting experience. Additional safety information will also be available. If you only practice a fire drill every six months, you can still discuss it more frequently. Occasionally ask family members the location of your safe place. Remind them of general fire rules, such as not returning into a burning building to save a belonging. Also, reinforce the need to call emergency responders once you are safely away from the structure that is on fire. Always being prepared can help keep your loved ones safe when an emergency occurs. 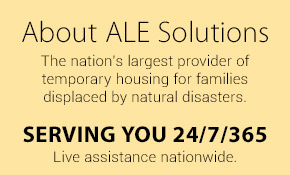 To start, learn about ALE Solutions’ temporary housing options.